DF65ABC - RG65 Dragon Force Sails - Available in A, B or C Rig sizes, please specify which size you require when ordering. Defaut sails sent will be A - rig if none are specified , normally in 50 micron film also available, 36 micron film with custom corner colors available! -To suit Dragon Force  (flat panel sails same material for both main and jib). 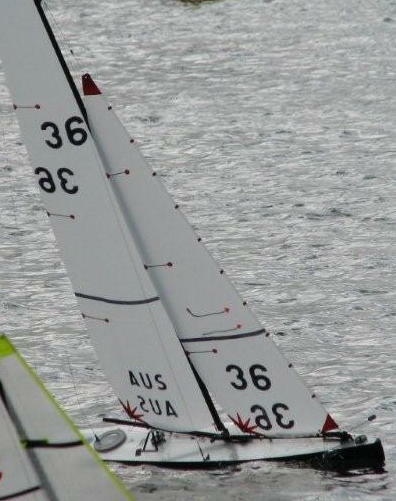 These are top quality Australian made single panel sails to suit dragon force.